Comparison of classic mascots and inflatable mascots. 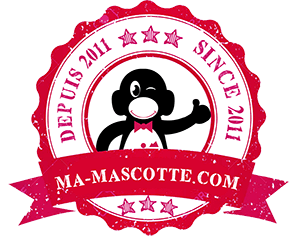 Ma-Mascotte offers a comparison of the advantages and disadvantages of the ‘classic’ mascots and inflatable mascots. Image of the “teddy bear”. Embroidery or screen printing logos. Four-color printing for logos and other elements. In general, if your mascot costume does not exceed a certain volume and if you do not need color gradients, we recommend the ‘classic’ mascots that have a greater impact.